There are probably a few people in your life who have a great influence on you, just like there are in mine. Those people could be in your family, at your workplace, in your church, or any other place or group you are affiliated with. 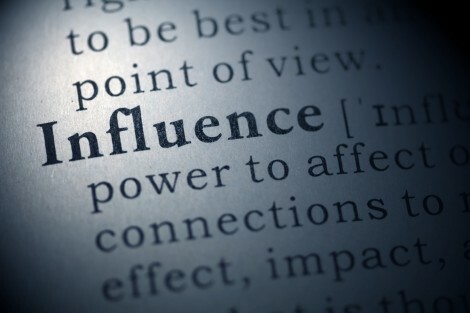 To have an influence on someone is to be able to impact positively or negatively the decisions that person makes. For example, most people are influenced by their parents and close family. However, in general we are influenced by people we spend time with. That is why it is important to spend time with people whose influence is positive, and not negative. Competence. There is no substitute for competence, good performance. When you perform well in your areas of expertise and are consistently recognized and acknowledged as an expert, you will have a greater influence on people who value the work you do. Competence is a product of pursuing excellence in all you do. One of the easiest ways to appear more competent to people around you is to do less, but do that little so well that it is impossible not to notice how much caring and involved you were at the task. Reliability. Being reliable is being dependable. In other words, sticking to your own expectation, and the expectations of others to whom you made a commitment, however small. For example, scheduling a meeting and not showing up (extreme) or showing up late without notifying the parties you are meeting with. Those are simple examples that will show people that you are not reliable. Your reliability will be assessed mostly by watching if always do what you say. If you have an issue with reliability, being by making less promises and commitment to people around you. Don’t say anything that implies you will do something if you have not decided and agreed with yourself to do it in the first place. Compassion. Being compassionate is being mindful and thoughtful of others and the situations they experience in their lives. There is a saying: people don’t really care how much you know until they know how much you care. That is very true. If you are to become a person of greater influence to the people around you, show genuine care and sensitivity to their issues. After all, the most favorite topics of conversation in any conversation is “me”. If you care about “me” (the other person), me will be likely to be more sensitive (influenced) to what you say and do. Exhibit competence in what you do, become reliable by being true to your words, and develop genuine care and affection for others. Those are just three basics attribute you can bring to your awareness and develop more if you want to have a greater influence on people you interact with. What other attributes can one develop to become a person of greater influence?